ENDS SOON: EXCLUSIVE Marriott HFP offer – earn 10,000 points for a long weekend in Europe! Marriott has decided to re-run its special promotion exclusively for Head for Points readers for a third and final time! To celebrate the merger of Marriott Rewards and Starwood Preferred Guest into the new Marriott Bonvoy loyalty programme, Marriott is offering bonus points if you book a long weekend in Europe this Spring. This special HFP bonus is on top of your standard points and any elite status bonus. It will also work with the current ‘£100 cashback on £500 Marriott spend’ offer which many American Express cardholders have been targeted with (check the offers section of your online statement page). Until 29th January 2019, you will get 10,000 bonus points when booking a long weekend stay at select hotels in Amsterdam, Barcelona, Florence, Geneva, London, Milan, Munich, Nice, Paris, Rome, Vienna or Zurich. The special booking page is here. You must book by 29th January and complete your stay by 31st March 2019. You need to book by 29th January for stays until 31st March 2019. You can earn a maximum of 100,000 bonus points from this promotion. PS. Rob stayed at the Hotel Arts Barcelona last week in order to take a look at one of the hotels you can book under this offer. He will review it in a couple of days. There are already a few pictures on the HFP Instagram feed. Our earlier review of the Marriott Paris Champs Elysees is here. I don’t know if this will work for the above, but some people also have the recent Amex offer of a £100 statement credit on eligible spend of £500+ in participating hotel(s) at Marriott properties in Europe by 31/01/2019. I have that too, I see no reason it shouldn’t stack as one is a Marriott deal, and the other an Amex deal. So if you spend £500 or more at Marriott (in any way) you should get the Amex £100. Munich is not listed on the Marriott page, has it been dropped from the his offer? I will check with Anika – she has full control of this offer, I just run it! Decent bonus but after my upcoming TP stay with them I’ve got nothing else planned, customer service has been a farce since the merger. If Marriott team members are looking at this page, can I suggest they find a way to make it easier to get to platinum. I had a couple of stays planned but am annoyed that I have to fork out 100 euro/ night for breakfast for 2. I have changed one away from Marriott. I can’t quite make the number work for a 16 night platinum challenge mattress run – mostly because home is not that near any cheaper Marriott hotels. Maybe the credit card (if ever released) will have something to offer. I would jump at platinum for 10k spend or similar. It would probably earn them another 4 expensive hotel stays through the year as well. I think it would be a very bad idea for Marriott to make it easier to get platinum status. That’s the main problem with Hilton, everyone in the US can get Diamond status simply through credit cards. This means Hilton is awash with diamond members and is one of the reason getting a late check out is so tough with Hilton. If not platinum – at least free breakfast. I have the old TP cat 6 I understand this is now worth new cat 4, has anyone booked a stay using the old TP lately, do you still get back some Marriott points refunded. I had a look on the Marriott FT page and am not much wiser. Also is the expiry date for booking or staying. Sadly Marriott comms has been appalling on this. You can’t book with OC certs, when you call they’ll convert it to NC. You’re due a 30k refund if you accept NC4 (as OC5 also mapped to NC4). Cancellation of the cert altogether would give you another 45k – overall better to use it for a booking if you can. When the new cert is issued the expiry date should reset. I believe book by but have used mine for much earlier date than that so didn’t investigate too hard I’m afraid! Old certs were apparently easily extended 2-3 times, less clear if it’ll happen with these new ones. I had an OC8, so in a similar position on the refund as mine went to NC5. Mine was converted, 30k refund into my account and attached to a booking all in a 15 minute call so very happy, although very aware others have had a different experience! My understanding is the expiry date is stay by – so indeed hold off as long as possible as the new certificate will have a 12 months expiry from then. My impression is it’s working much better now. Was total chaos in Aug, with ex-SPG properties not available at all and reps totally clueless. There’s a very very long Flyertalk thread that is worth looking at if having issues trying to upgrade a voucher – the wiki there lists all the package codes which can help reps. I am missing this months points from my Marriott M/Card – nine days from card billing. Usually points have credited with 24 or 36 hours. Yes, me too. I finally got my missing ’29 whatever’ points, but then the credit card monthly points don’t post. Incredible! For a brief time last night after midnight Grosvenor House Dubai was on Points Break and I was offered 3 nights for 70,000 points right through to mid December. Guess the Tourism tax and 10% compulsory service charge isn’t proving popular. 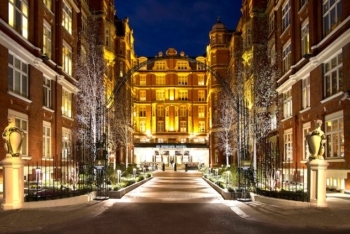 No London Marriott Kensington included? Sorry but I seem to be unable to get onto the Marriott Platinum Challenge thread to ask a question & needed to ask what number I need to ring to take it. I had tried the UK number & was told yes I could do it but I have not received a confirmation email ! Does any one know should I be ringing the US number to apply instead please? Thanks for any info. I did my mine entirely by email. You need to accept the terms they email to you before it starts. I telephoned the UK number & was told yes I was on it but I never received an email confirmation! Where did you email please Rob? I need to get on it before we go off to Canada for a booked 16 night stay in February so panicking now. Send a note with Platinum Challenge as the subject. I approached Amex, but they passed the onus of responsibility to Marriott. Marriott have now taken three months to look into the 3 x separate MR—>Marriott transfers that I did in OCTOBER, and still no points have appeared in my Marriott a/c and still I get the Marriott BS that my “case has been escalated to a manager”. Any suggestions for breaking the impasse? I’m getty concerned, too, as I need circa 100k MR to post to Marriott in the next 2 months. Sorry for the gate crash on this article but not sure where else to ask…what’s going on with the Qatar sale? Is it still happening this year? Quite late if it is. Qatar told me on the 16th that the current discounted fares were being extended for a few days (they were due to end on the 16th). I feel it is coming very soon. Can I use this offer together with other promotional offers and collect points for two separate offers?